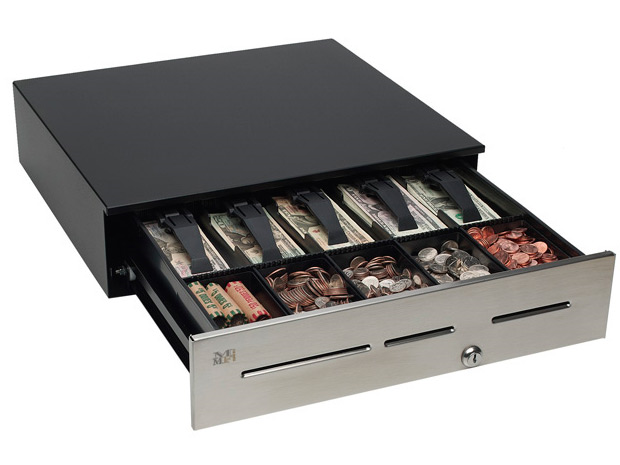 The MMF Advantage cash drawer gives any retailer or restaurant a safe and secure method for storing money and other important papers during the day. 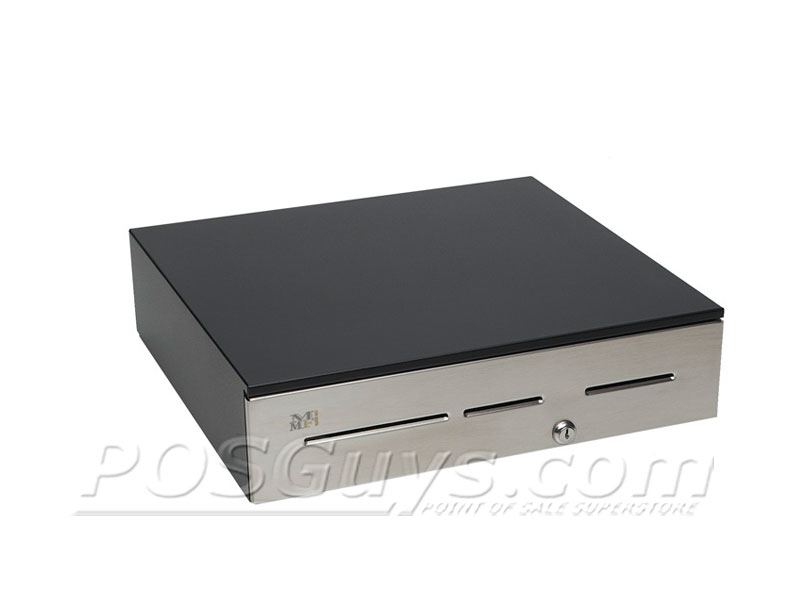 The drawer features 3 optional media slots, one of which has a locking cover to further prevent theft. The standard 3-position, 4-function lock comes with your choice of being keyed alike or randomly, giving you added convenience or security. 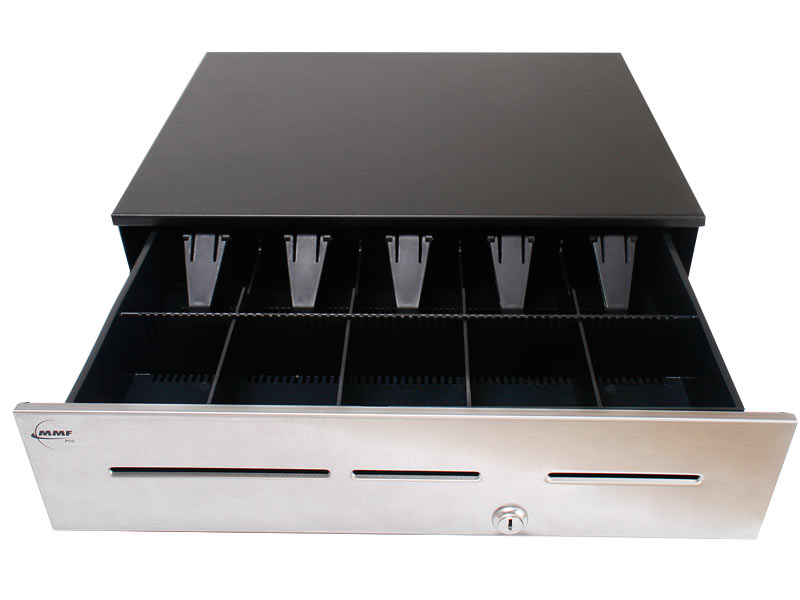 For higher security options, the cash drawer can be keyed so that manual opening can only be done with a manager's key, eliminating the fear of untracked cash access. 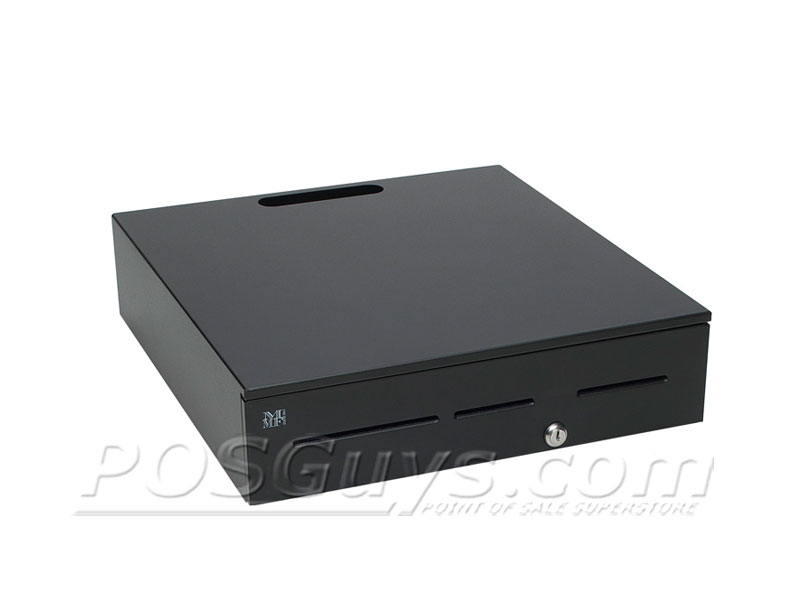 Available in a wide variety of sizes and colors, the Advantage fits in virtually any POS installation easily. The Advantage can also be printer, USB, standard serial, or multi-serial driven, making it an ideal choice for a wide variety of point of sale operations. También puede ver esta lista en Español. Visite EquiposTPV.com para comprar el MMF Advantage cajón del efectivo. Dimensions 17.4" x 18.7" x 4.6"
18.8" x 20" x 4.6"
18.8" x 21" x 4.6"
20" x 21" x 4.6"
How do I open a serial cash drawer with command prompt? Check to see which COM port your cash drawer is attached to. To do this, open the Windows Device Manager (My Computer > Properties > Hardware > Device Manager). In the device manager, there should be a listing of individual ports. Then press CTRL-Z and hit the enter key. Your drawer should pop open. The Advantage is one of the highest security drawers on the market. If you're at all concerned about loss or ensuring only the right people have access to your cash, the Advantage is the drawer for you. We recommend the high security models, as the drawer can only be manually opened by a manager's key. Find it faster! Click here to compare Advantage models by feature. Browse all Advantage models now or call 800.903.6571 for assistance. 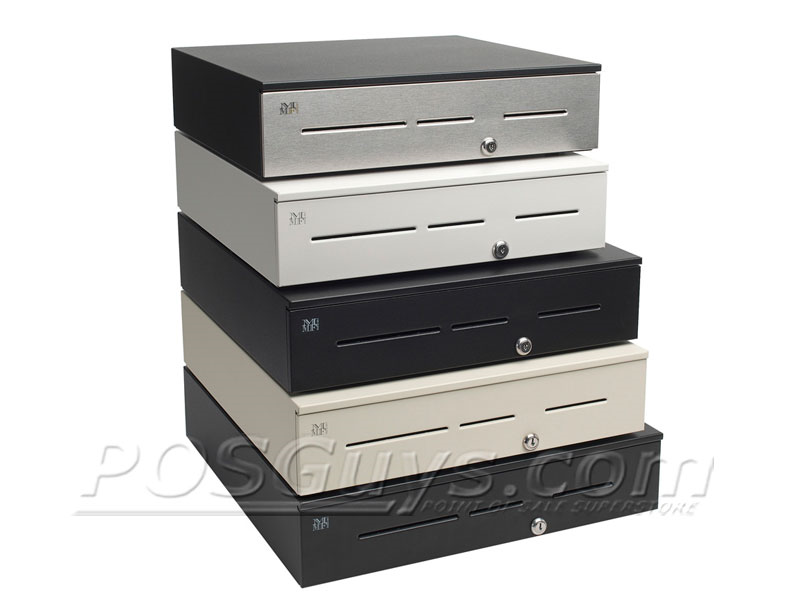 Hi this is Travis with POSGuys.com reviewing MMF Cash drawers the Value line and the Advantage. This is the MMF Valu-line cash drawer. It is their entry level cash drawer. It is all metal. Powder coat finish. It has a standard lock that has lock and manual open. There are media slots in the front so you can drop in gift cards and bigger bills and then pick them up under the till. The till itself is removable. Standard it has five coins and five bills that are adjustable so you can actually divide it to be eight coins and you can make it four bills if you are in Canada. The cash drawer port is on the back. 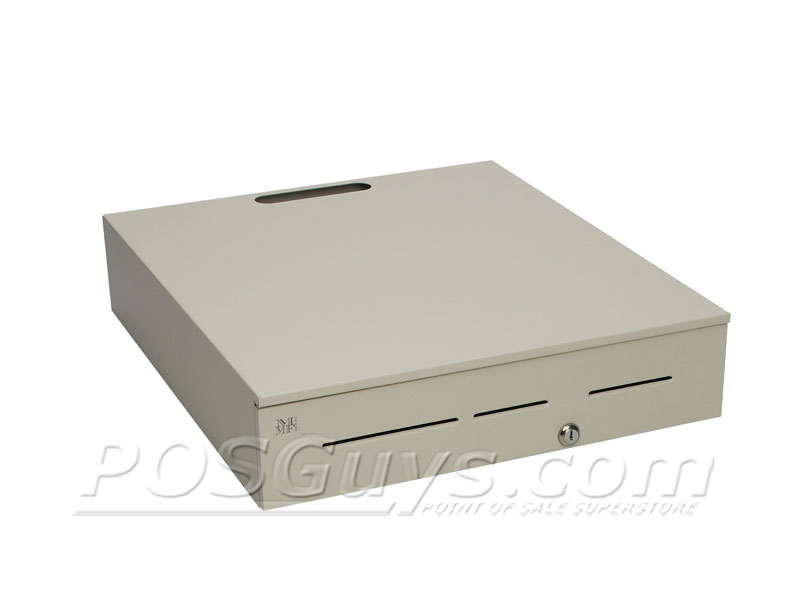 It is your standard RJ cash drawer port which will interface with a receipt printer. The MMF Advantage is their top of the line cash drawer. It is a little more durable than the Value-line. It has additional bracing and it has a thicker top. Additionally it has three media slots instead of two. With the slot on the far right being a locking port. When you put your cards in and you check the cashiers have access to some of the cards but there is a little locking section here that requires a manager's key to access it. The till is also adjustable. The coins can be adjusted three different sizes as well as the bills. It's available with a stainless steel front, painted front. The locking is also variable. There is the standard key lock there is also a managers and operators lock, where an operator's key will unlock the drawer but it won't manually open it you have to have a cash drawer signal to open it and there is also a star lock available that is similar to like a bicycle lock so it is harder to pick. The interface port, is on the back and this is actually interchangeable so you can take off these two screws and this comes out and then you can put in like a USB interface if you wanted to change it in the future. There are mounting brackets available for it as well. 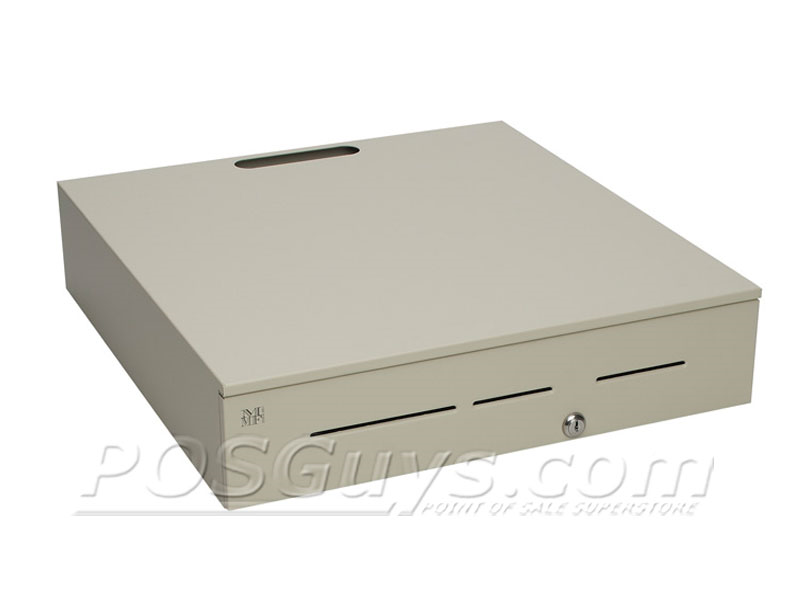 The cash drawers are available in a white color and a black color. There is also a beige color available on the Advantage series. Different face options are available as well. For additional information and to view different sizes please visit our website at www.POSGuys.com.